Ordinarily you might think of crumbles as sweet affairs. Fruity yet sharp desserts where the best part comes in trying to remove the thick, congealed crumble mix from your gums with your tongue. But Danny found out recently that they also work at the savoury end of the scale. 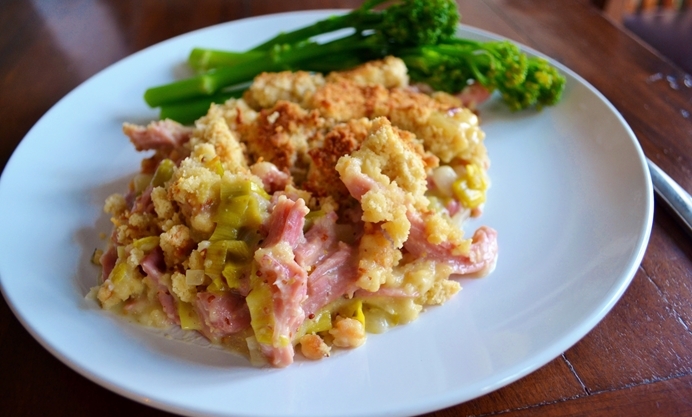 This crumble is a veritable duvet of cheesy crumbs set atop a fluffy creamy mattress, engorged and cosseted with tender gammon and juicy leeks. It does take a while for things to click when eating this crumble mind. 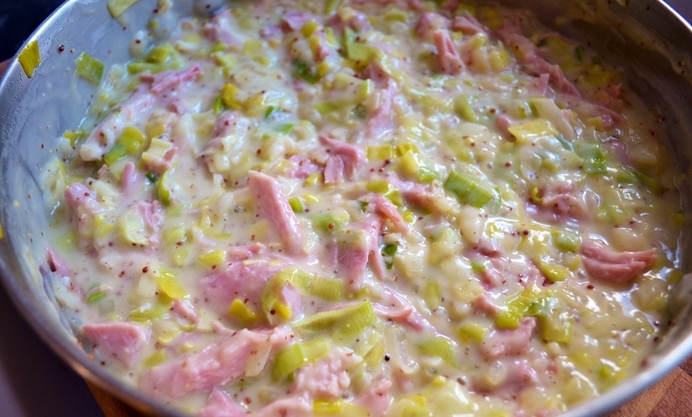 The conversation between the Numbskulls in the mouth and brain department will be frantic at first but stick with it because this really is a joyous dish to eat. Head out to buy a gammon joint now and don’t forget to save some of the stock once you’ve cooked it, if you like boiling your ham that is. 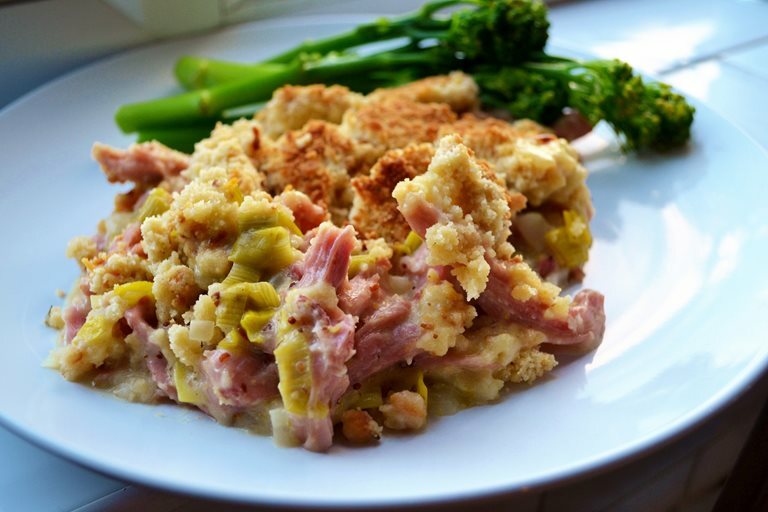 Better still, if you have some of that special gammon, still ruminating in the freezer from Christmas, this is a great excuse to finally use up those leftovers. And spooning mouthfuls whilst staring out of your kitchen window and watching that cloud come over the horizon will make you feel even better.